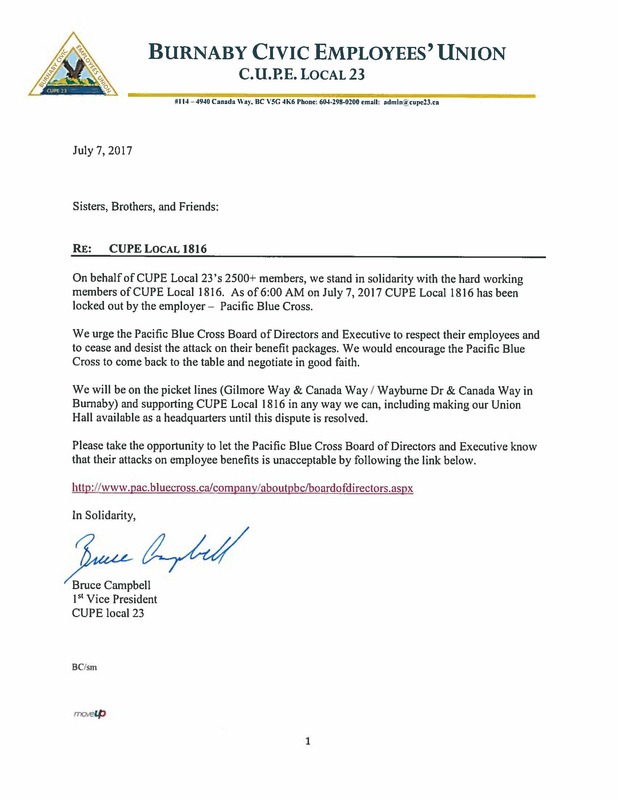 CUPE Local 1816 – Locked Out! Please note the below message from your 1st Vice-Chair, Bruce Campbell. Click here to contact the Pacific Blue Cross’ Board of Directors and Executive. This entry was posted in Uncategorized by admin23. Bookmark the permalink.